Life after Esidimeni: Has anything changed? A well-functioning public health system is a catalyst for effective universal health coverage and it should be everyone’s business. According to the World Health Organisation (WHO), universal health coverage means that all people and communities can use the promotive, preventive, curative, rehabilitative and palliative health services they need, of sufficient quality to be effective, while also ensuring that the use of these services does not expose the user to financial hardship. It is important to note the fundamental objective of universal health coverage as equitable access to quality health care aimed at improving the health status of the beneficiaries and protect from financial hardship. There is a positive association between universal health coverage indicators and improved life expectancy and a negative correlation between it and out-of-pocket health expenditure, at the same time not discounting the impact of social determinants of health. The right to health is enshrined in the Constitution thus making the state a duty bearer of this public good, within the states limited resources. As promulgated by the former President Nelson Mandela in 1994, South Africa offers free healthcare for pregnant and breastfeeding women, and children under six years. This was expanded in 1996 to include free services for all primary health care services. Not so long ago, in 2013, free hospital services were expanded to include children over six years with moderate to severe disabilities. The report, “Healing inequality: The free healthcare policy”, cites distance, medicine shortages, staff shortages, a focus on curative medicine versus prevention as some of the barriers to accessing care for one of the vulnerable groups, children. Evidently, South Africa has to embrace context specific challenges because failure to do so will produce universal health coverage that is good on paper. It will be counterproductive to have universal health coverage for care that is inaccessible, or accessible care that is ineffective. South Africa has experienced challenges in its health system after the dawn of democracy. There are a number of contributing factors including a sociopolitical one related to increased access to facilities that were not accessible to other population groups prior to 1994. The crisis facing the health system as acknowledged during the Health Summit, following a political transition is not unique to South Africa as the same was seen in post-communist health transition in Central and Eastern Europe. Germany’s life expectancy grew by more than 10 years after the implementation of universal health coverage alongside favourable socioeconomic factors. A similar effect is seen in the reduction of pneumonia, diarrhoea and acute malnutrition fatality rates in South African children under five years as cited by the Health Systems Trust. Universal health coverage has shaped improved health for women in low and middle-income countries like Rwanda. Interestingly, evidence shows that income and education have significant influence on life expectancy in the low to medium income countries. There is no doubt that a thriving economy and quality education have a significant role to play in improving the health status of the people. It is important to note that universal health coverage does not automatically translate to improved health hence the importance of acknowledging each country’s context. According to the World Economic Report, South Africa ranks number 82 on macroeconomic environment and 121 on health and primary education out of 131 countries. Improving the health status of the population is a multi-sectorial function. The GDP is almost at a standstill in a country with the highest income inequality making it critical to embrace the South African context when planning and implementing universal health coverage. The focus on improving financing of health services in SA through the National Health Insurance (NHI), will not address the fundamental challenges linked to the WHO’s building blocks of a well functioning health system. Significantly most of these elements were discussed in the recent health summit, which had commissions on health service delivery, leadership and governance, supply chain management, public sector financial management, private sector engagement, infrastructure, and human resources. The involvement of relevant stakeholders, creation of effective crisis management structures, and implementation of recommendations will be the key success factors in addressing the current crisis and a lever in creating a foundation for effective universal health coverage. The deputy president, David Mabuza, promised that the outcomes and recommendations of the health summit would be used as a springboard to dramatically improve the sector. The recent call by the president to reprioritise funds allocated for a NHI was warmly received. Channelling NHI funds towards the recruitment of more than 2000 health professionals, and buying hospital beds and linen couldn’t have come at a better time. This budget manoeuvre is seen as a sensible effort to strengthen the system’s building blocks because the health workforce is vital in facilitating access to care. Staff shortages have a negative impact on staff morale, burnout, and patient experience. Buying new beds and linen will help to uphold vulnerable patients’ dignity and improve the work environment, making it less morally harmful to health workers. This fiscal stimulation is expected to improve trust deficit existing between the public health system and the society. The WHO asserts that a well-functioning health system is one providing safe and accessible care, provided by a responsive and well performing workforce. The NHI as a funding mechanism addresses the financing attribute that which may prove wasteful if the rest of the building blocks are not given the required attention. These include leadership and governance, equitable access to medial products, vaccines and equipment and effective service delivery. 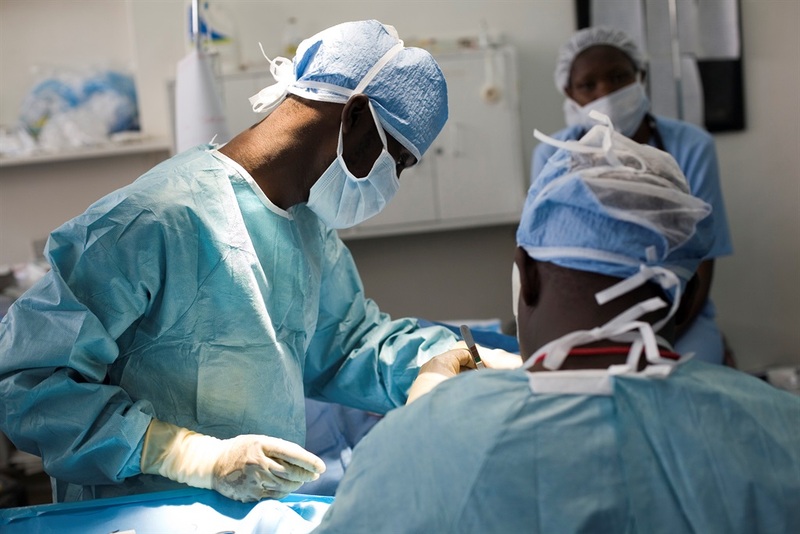 According to the World Bank, health sector reforms in low-income countries need to address the funding, efficiency and equity problems in an integrated fashion. The same seems relevant to SA and failure to embrace this will expose the country to the risk of increasing funding for an inefficient delivery system. Solidarity is the fundamental premise for universal health coverage and South Africa ought to implement it whilst ensuring its political and economic sustainability for the country and its future generations. It then calls for the state to share an up-to-date report on the wins and challenges in the NHI pilot sites. Successful implementation of universal health coverage has been linked to good institutions, governance structures, and sound financial management systems. Transparency and accountability are also critical and were some of the non-negotiable commitments made at the end of the summit to ensure “one country one health system” and NHI being a means to achieving universal health coverage. A well functioning health system and an effective universal health coverage are closely linked and therefore not mutually exclusive. Countries with weak health and education systems struggle to achieve sustainable economic growth, making universal health coverage everyone’s business. • Dr Brenda Kubheka is from Health IQ Consulting, which does quality management, clinical risk and lean methodology training programmes and consulting services in the health sector.